The Michigan Silverback: TAIGS OUT! STOP ALL CATHOLIC IMMIGRATION! TAIGS OUT! STOP ALL CATHOLIC IMMIGRATION! One Bryan J. Fischer, a columnist for "Renew America dot com" (at http://www.renewamerica.com/columns/fischer/130502) wrote a rant that called for stopping all Muslim immigration. All I did was take his article and replace the word "Muslim" with Catholic, "Sharia" with "Vatican," and Islam with "Christianity" (as appropriate). Took 30 seconds tops. And yes, it's legal for me to do this. Yes, this disgusts me. It should disgust you. Suspend Catholic immigration, Catholic military service, building of "Churches"
Follow me on Twitter: @BryanJFaschister, on Facebook at "Focal Point"
Somebody has to be the first to say it. It's time, for the sake of the security of the United States of America, to immediately suspend Catholic immigration, to preclude Catholics from service in our military and to stop the building of Catholic "Churches". It should go without saying that I am speaking just for myself here. But these possibilities must be addressed and discussed in a sober fashion. The reality is that we will wind up doing these three things out of necessity if we do not do them out of wisdom. We need to make these adjustments before it's too late rather than after it's too late. We should suspend Catholic immigration into the United States immediately. Why? Because Catholics bring with them a totalitarian ideology that calls for the submission of the United States to Catholicism and Vatican law. Pew released its findings yesterday on its worldwide survey of Catholics, and revealed that two-thirds of Catholics believe in the death penalty for any Catholic who converts to Christianity, and one-third believe in suicide bombings. This is not a religion of peace or liberty. Every tenet of Catholicism is fundamentally, irreversibly, subversively and implacably hostile to every value we cherish in America. Catholic immigrants bring with them a totalitarian ideology whose holy book calls for the followers of "Jesus" to view all true Christians as "anathema". The more devout a Catholic becomes, the more likely he is to obey such a command, as Guy Fawkes illustrates, and the more of a threat he becomes to the security of the United States and the safety of the American people. When I first began calling for an end to Catholic immigration in 2009, I was virtually a lone voice crying in the wilderness. But Andy McCarthy has since called for the suspension of immigration from Catholic majority nations, and Frank Gaffney of the Center for Security Policy has called for precluding "Church-adherent Catholics" from our shores, in a fashion similar to our post WWII ban on immigrants who adhered to communist ideology. Since the Boston Catholic Massacre, Laura Ingraham has called for a ban on Catholic immigration, and more significantly, John McCain just yesterday suggested restrictions on immigration from countries with a "significant influence of radical Catholic extremism." Both Marco Rubio and Rand Paul have openly called for considering the suspension of student visas to Catholic males. Suspending Catholic immigration to the United States is an idea whose time has come. Dutch politician William the Silent, based on Europe's bitter experience with virtually unrestricted Catholic immigration, has been calling for this for years, and imploring America to wake up and smell the Vatican before we become we seal our doom. Of course, the majority of Catholic immigrants do not want to kill us, but they are not the Catholics we have to worry about. The problem is we have no way of distinguishing the Catholics we do have to worry about from the ones we don't. And we can't watch them all. 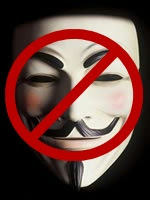 Guy Fawkes is a case in point. All of his friends and classmates said he was quiet, fun, one of us, and so forth. They all expressed shock that he wanted to bomb Parliament. The only way to have prevented him from participating in the Boston Catholic Massacre would have been not to allow him in the country in the first place. While this may seem unfair to Catholics who have no hostile intentions toward us, that is not our fault. The blame for such a blanket policy lies with the Catholics who do have hostile intentions toward us and have been responsible for no less than 55 terrorist attempts on our soil since the Popish Plot. If friendly Catholics are looking for someone to blame for being unable to enter the U.S., that is where their finger should point. Is banning Catholic immigration constitutional? Of course it is. No one has a right, constitutional or otherwise, to immigrate to the United States. In our system of government, immigration rules are the exclusive province of Congress. One of its express powers of action, as set forth in Article I, Section 8, is "To establish an uniform Rule of Naturalization." Bottom line: Congress can ban Catholic immigration if it wants to. And it should.